Flippo Fish has a body full of colorful and textured scales. 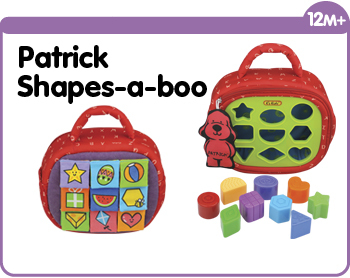 Flip them open for a peek-a-boo matching game that will boost your baby's logical thinking. 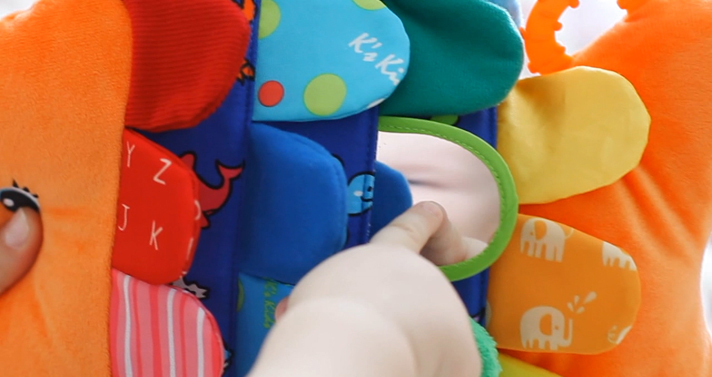 Textures and patterns on the scales also enhance a baby's tactile sensitivity. 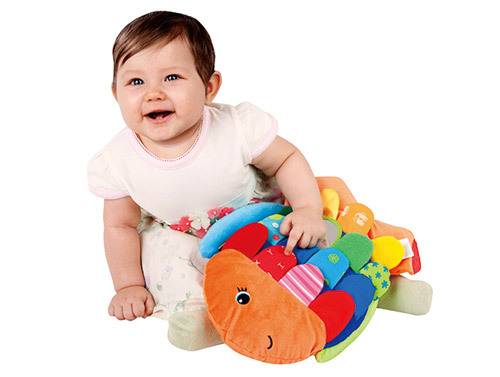 The toy also teaches your baby colors and different sea creatures. Method: Flippo Fish is made of top quality materials. It is soft and great for hugging. Hugging helps children learn to love and also helps them build a sense of security. 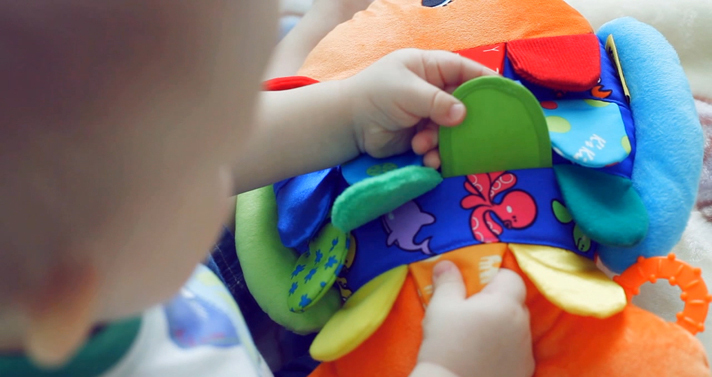 Method: Flippo Fish is made of crinkle paper, rattles and different textures and materials. 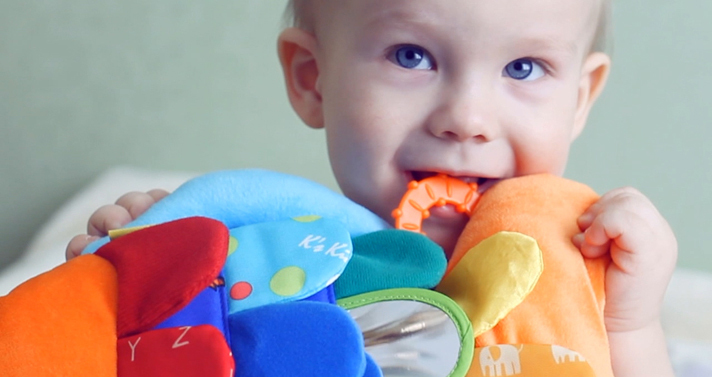 Encourage children to touch and feel the textures and to chew on the teether. Method: Encourage children to flip Flippo Fish’s scales. Method: Allow your child to observe and recognize her own image in the mirror. This helps develop her self esteem. Method: Flippo Fish is soft and smooth at the back. 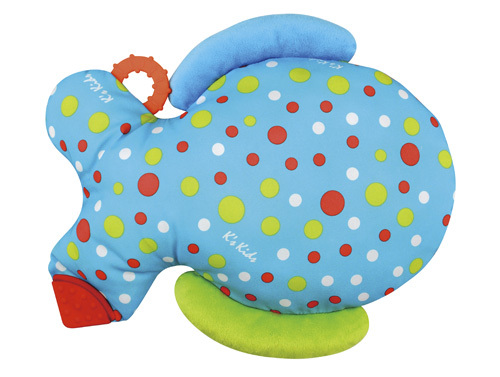 It makes a great pillow for children. 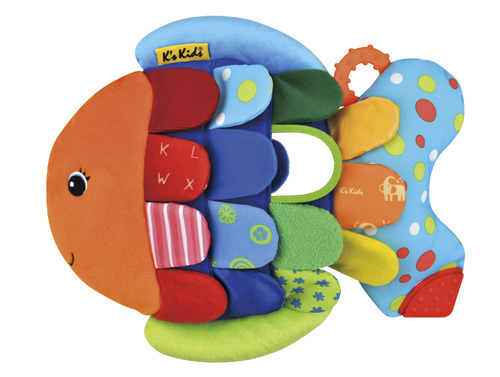 Method: Use Flippo Fish to teach children different fish body parts. 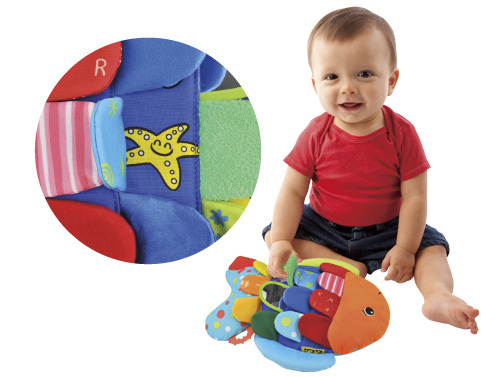 Method: Name different fish body parts and encourage your child to point to them. 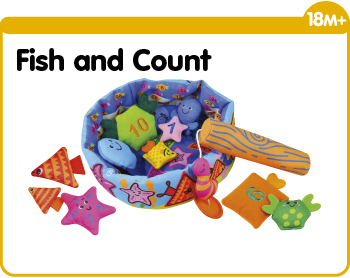 Method: Teach your child colors using the different colors of Flippo Fish. Method: Name different colors and encourage your child to point to them. Method: Use the graphics on Flippo Fish to teach children different sea creatures. Method: Name different sea creatures and encourage your child to point to them. Method: Randomly flip over one of the scales and encourage your child to name the sea creature hidden underneath. Method: Parents may play with their child, or two children may play together. Take turns flipping over the scales. Each player may flip over two scales each time. The first player to find a pair of sea creatures of the same color wins. Method: Parents may play with their child, or two children may play together. Take turns flipping over the scales. Each player may flip over two scales each time. The first player to find a pair of sea creatures wins.